string(66) "Modiano Club Playing Card Wooden Box Playing Card Set - Red & Blue"
This set of 100% Plastic Poker Size (2.5" x 3.5") Regular Index 4-Color Modiano cards includes one Red deck of 4-Color Series cards, one Blue deck of 4-Color Series cards, and a protective plastic case. The back design is the standard Poker Club Design. These 100% Plastic Cards are very unique! Each suit is a different color. The clubs are green, spades are black, diamonds are blue and hearts are red! This 4 color index will help you easily distinguish card suits! 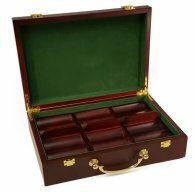 The 4-Color Poker set is made up of two decks in a sturdy box with a slide out plastic tray. Each deck is a standard deck made up of 52 cards of 4 different suits. There are also 2 jokers in each deck. This product is individually retail packaged. 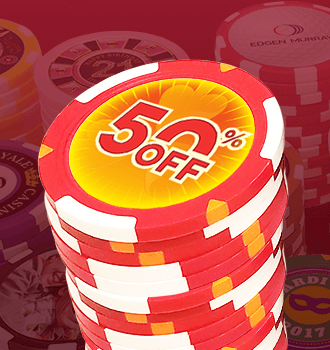 There is simply no better way to describe Modiano playing cards than as the complete playing card solution. Modiano cards are extremely playable without sacrificing durability, resilience, or sharpness. Modiano Cards are 100% plastic playing cards. 100% plastic playing cards will often last up to 100 times longer than paper based or plastic coated playing cards. 100% plastic cards are washable, crimp and fade resitant, waterproof and extremely durable. Thickness Modiano Cards are thicker and heavier than any other 100% plastic playing card in the market today. Once you deal Modiano you will recognize the substantial feel that only Modiano provides and never want to deal flimsy light weight cards again. Shape Retention The thicker and heavier grade plastic also enables Modiano cards to retain character and shape better than other 100% plastic playing cards. Expect your Modiano cards to be the only set you will need for an extended period of time. Color Modiano 100% plastic playing cards pop with color. The reds and blacks are brilliantly printed on the faces. You will not worry about players discerning the pips on the cards when dealing Modiano! The back styles are also extravagantly designed with richness and taste. Modiano cards will not only impress players with their substantial feel but also with its vivid colors and design. Texture Modiano cards are well textured unlike other 100% plastic playing cards that are extremely smooth. 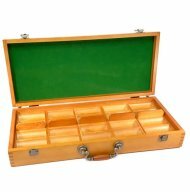 Smoothness is generally not considered to be a desired attribute of 100% plastic playing cards. A textured playing card is much easier to handle and shuffle. 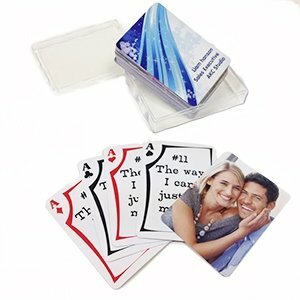 You are less likely to lose control of the playing cards during cut, shuffle or bridge with Modiano 100% plastic cards. It is also easier to control the distribution of the playing cards while pitching, since the cards are less likely to slide off the table or flip over while en route.